Most people living in Singapore would love to have and live in a clean house but nobody likes the idea of cleaning the house themselves. This results to many people hiring cleaning services which makes them dig deeper into their pockets. Sometimes the services they get from the cleaning services are not satisfactory. It’s only the homeowner who really knows their houses well inside out for them to make effective cleaning. House cleaning tips are to make work in the kitchen much easier, faster and a bit fun. 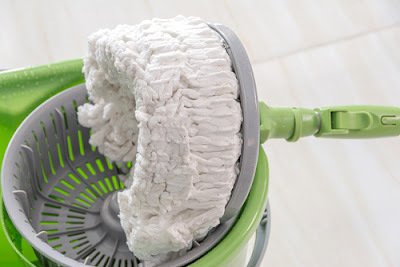 These are little tricks that one can use around the house to clean up a mess, make things look brighter and better, restore color and shine to objects, deal with unpleasant odors, or even making things softer. House cleaning tips help to save on time. Here are some home cleaning tips that one can easily use. In your kitchen always start cleaning from your right side of the kitchen stove. Stoves harbor a lot of dirt and when you clean them last you will end up messing your kitchen again. Always keep the sink clean by sanitizing it. Use soapy water to clean, and then add some vinegar and lastly hydrogen peroxide. To give your stainless steel sink some shine, cut a lemon into half and rub it on the sink’s surface then wipe out with a dry cloth. A stained and dull looking sink can be quite a bad sight to look at in the kitchen. A clean and shiny sink will boost your confidence if ever a visitor popped in your kitchen or even those nosy neighbors and friends that sometimes visit us. I want to let you know that you can make you sink very shiny by rubbing a lemon on it and later patting it dry with a dry piece of cloth. With is simple hack, kitchen parties are now welcome. Washing the kitchenware in water and vinegar mixture will give them a sparkling shine. Better still you could soak them in the water and vinegar mixture for a while. Fresh smelling coffee can be quite inviting. However if a strange odor from it arises the it means that its taste is also awful. Did you know that you can use rice to it? Somebody will ask me, how? I got the answer right here with me. Simply grind a small amount of uncooked rice. This will get rid of all the coffer odors. Always begin with the furthest corner and head towards the door while cleaning. While doing vacuum cleaning. As you head to the door, make slow and repetitive motions. Did you know that multitasking wil help you save on time. For example, while talking over the phone you could be washing dishes, arranging messy books and magazines, fold laundry or even sweep..
Know the maximum time you can use on a task at a time. This will help you not spend too much time on one activity that needs less time and save up time for more taxing cleaning activities. Cut on the electricity bill by using it when needed. For example wash dishes and laundry with cold water and only hot water very necessary. Cut on the water bill too by not washing laundry and dishes with the water running in the sink. When washing laundry, separate the white clothes from other colored clothes. If there be any cloth with running color, separate them too. 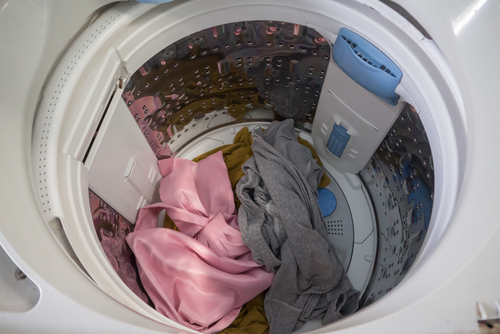 This will prevent you from discoloring clothes and save you the pain of buying clothes or save time when trying to bleach them again. Clean up your drawers by getting rid of the clothes that you no longer wear. You could even donate them to charity. This way you will have more space in your drawers to store more important items. When cleaning your bedroom, start with your bed first by making sure that it’s neatly made. With a made bed, it will be easier to clean the rest parts of the bedroom. Choose the right broom to clean different surfaces in your house. Choose brooms with soft bristles to clean your indoors, fine bristled brooms are capable of picking even the smallest of dust particles. Always tore your brooms with their bristles up and the handles down. This is to protect the bristles. Only keep what you need. Get rid of empty cans and bottles and things that you no longer need. This way, you make your house less stuffy and create more space too. Keep your oven clean by using a nonstick over liner which can be easily wiped with paper towels and still reusable. Clean and disinfect the disposal bin by emptying it first and then wash it with warm soapy water. To remove he bad odor, put a cut lemon, some ice cubes, some salt into the bin. The lemon acts as a deodorizer while the ice and salt rids off any left residue. Get rid of paper towels and use clothes with microfiber. They are able to sanitize, clean floors and other surfaces like tiles. This microfiber clothes are reusable hence making them very economical. Always clean as you work. Place all dirty pans and dishes to soak in the sink. After meals wash the dishes immediately. In case of spills, wipe them off right then to prevent them from sticking on the surfaces making them even hard o remove. To make bathroom doors shiny, rub a teaspoon of lemon oil on the glass showers. This will cause all the water to bead up and roll off. Always use a clean liner. Check for molds and mildew if any, wash the liner with a few towels which will help in rubbing them clean. With all these house cleaning tips, cleaning days will no longer be boring. Cleaning will be fu. Something that you will always want to do over and over. Always sanitize your sponges. When sponges are used for scrubbing pots and pans, most people tend to through them away. But did you know that pacing them in the microwave for a few minutes revives them as the microbes sputter away. 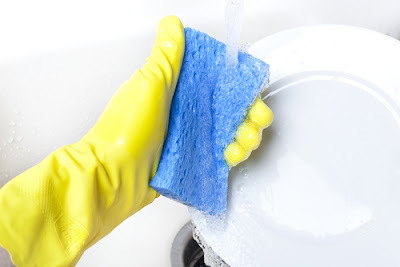 Sponges can also harbor a lot of germs to, by sanitizing them this way you kill germs and kick out diseases out of your home.